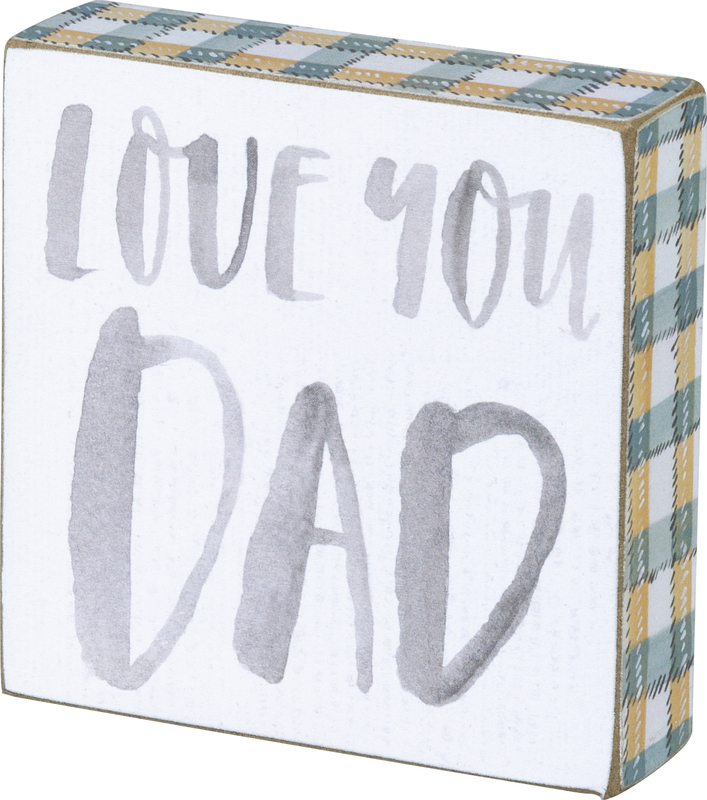 Perfect for gifting, a wooden block sign featuring unique watercolor art, hand lettered "Love You Dad" sentiment, and gingham trim design. 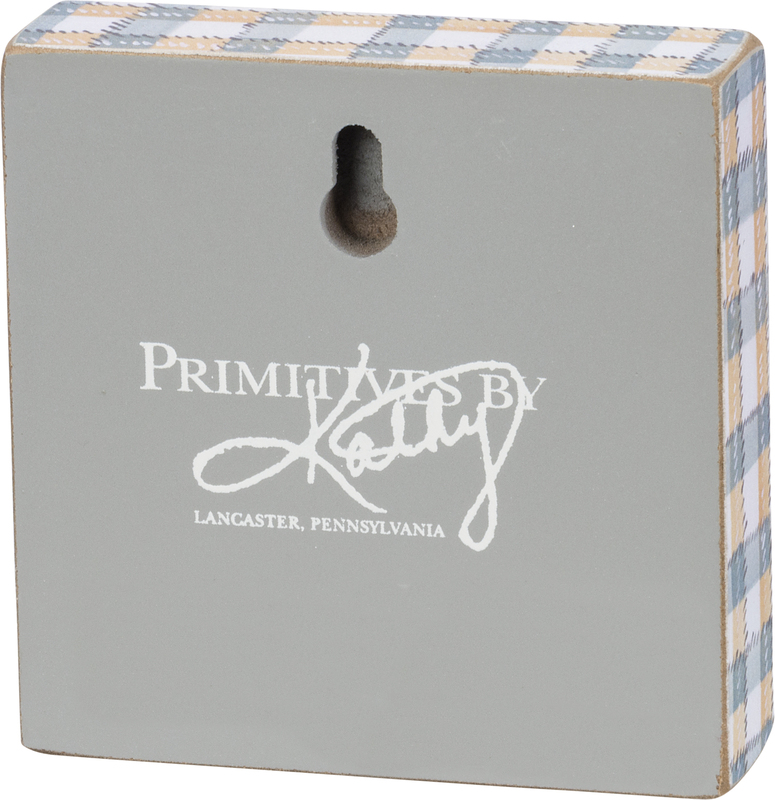 Complements well with coordinating styles for a cohesive gift set. Easy to hang or can free-stand alone. Size: 3.50" x 3.50" x 1"